Takahiko Satoh is a researcher at the Keio Quantum Computing Center. At KQCC, his research centers on hybrid quantum-classical optimization and machine learning algorithms for use on noisy intermediate-scale quantum devices, and on methods for analyzing the performance and fidelity of such machines. He received his B.A. in Environmental Information from Keio University in 2010, an M.S. in Computer Science from the University of Tokyo in 2012, and a Ph.D. in computer science from the University of Tokyo in 2016. His research field is in quantum computing, especially quantum computer architecture and quantum network architecture. He is a member of the JPS. 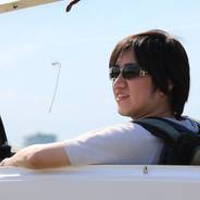 Dr. Satoh is a Project Research Associate of the Graduate School of Science and Technology at Keio University and the Graduate School of Media and Governance at Keio University’s Shonan Fujisawa Campus.